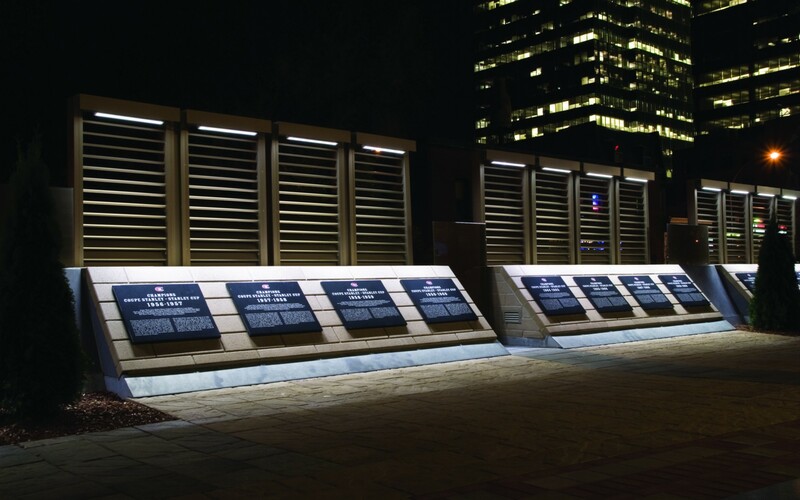 As part of a celebration of the Montreal Canadien's 100th season, the hockey organization built Centennial Plaza adjacent to their home at the Bell Centre. 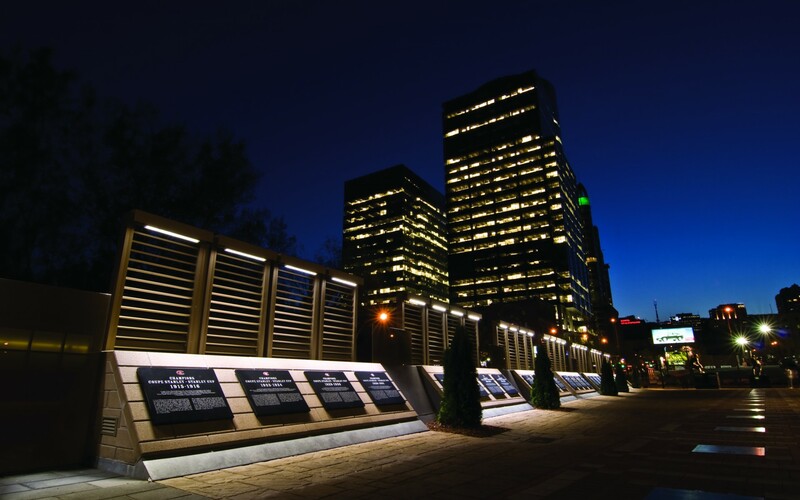 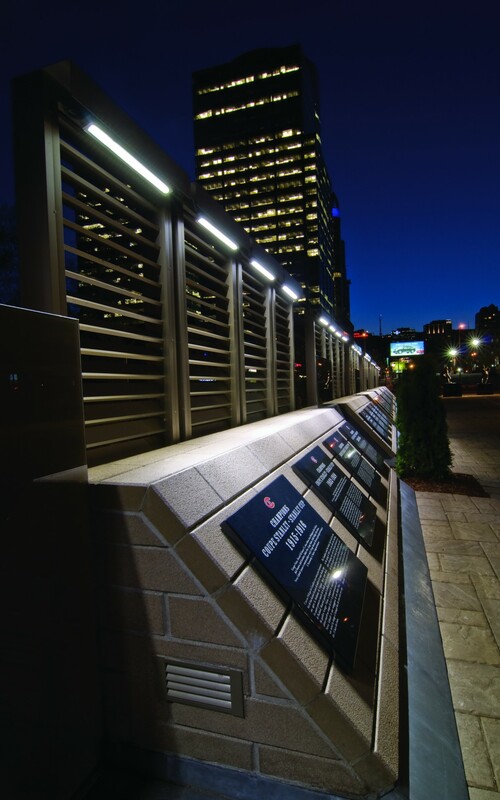 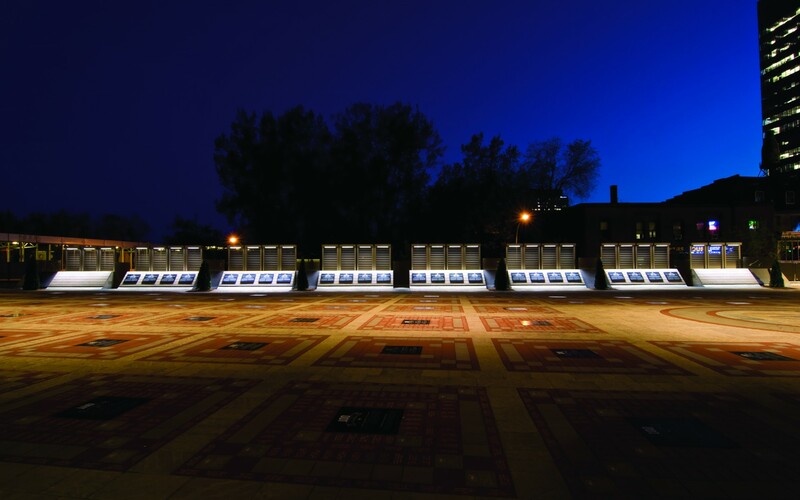 Lumenfacade fixtures were used to illuminate plaques at the periphery of the plaza. 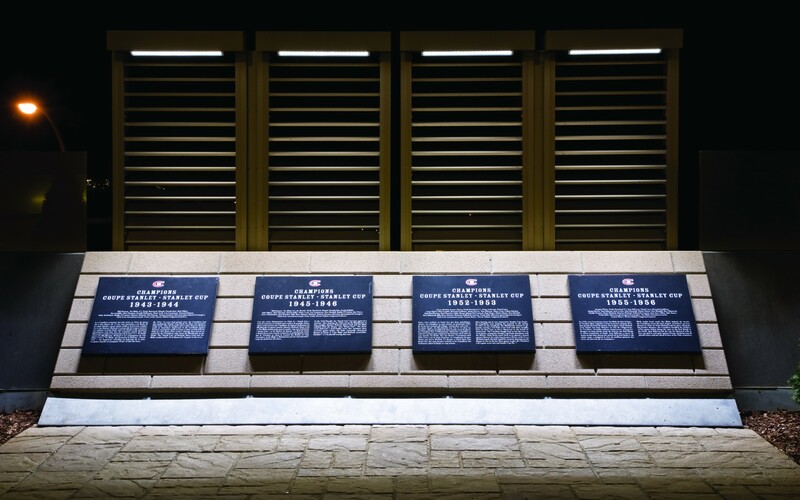 Each of the plaques represents one of the Canadien's 24 Stanley Cup wins. 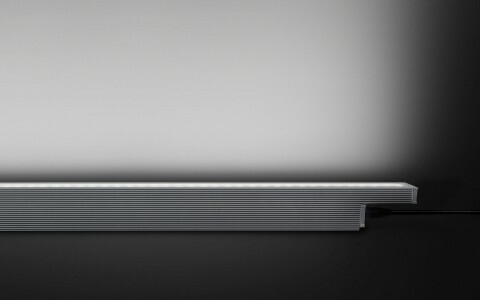 Lumenfacade fixtures are high-performance linear LED luminaire for grazing and floodlighting facades or accenting features. 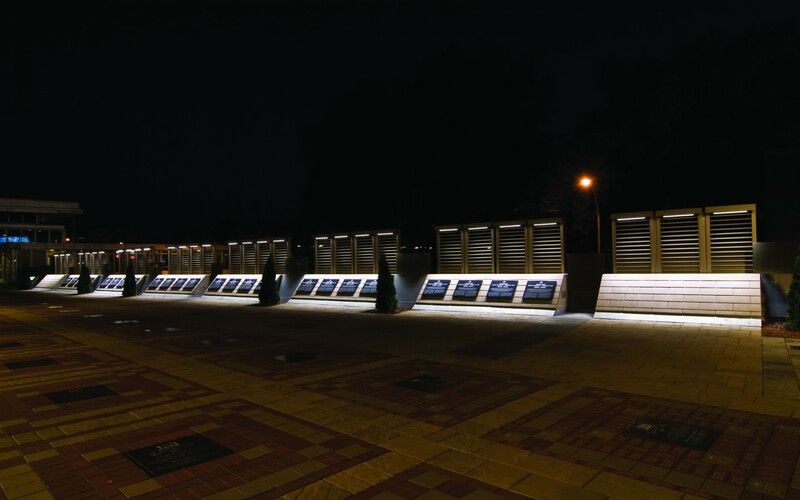 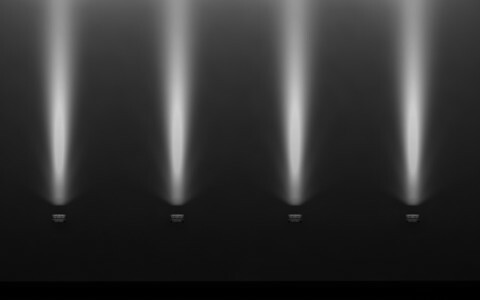 Available in 1', 2', 3', or 4' sections, Lumenfacade has myriad options including; optics for grazing or flood lighting; a choice of outputs; various color temperatures or static colors; various mounting options, finishes and accessories; and dimming control via DMX, DALI or 0-10 volt.